The 2014 Honda Fit EV has got the spunky exterior we all know and love from its traditional sibling, with a few more electric vehicle-friendly features to it. A rear roofline spoiler makes the car even more aerodynamic, while the front, driver-side charging port is highlighted with a chrome outline, so everyone knows just how eco-friendly the car is. 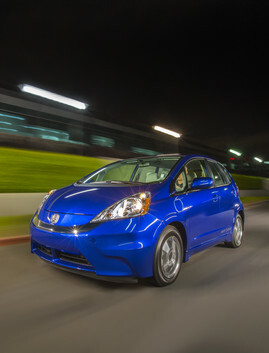 The 2014 Honda Fit EV can drive about 92 miles on a full charge. To power this electric car, a 93-kW electric motor comes together with a 20-kWh lithium-ion battery pack, pushing out 123 horsepower and 189 lb-ft of torque. With a standard 240-volt charger, it takes about three hours to recharge, though a 120-volt circuit could take up to 15 hours. The Fit EV also offers three different drive modes—Normal, Sport, and Econ. You can choose which drive mode depending on what you want to do with your vehicle. According to the EPA, the Fit EV can drive about 82 miles on a full charge, consuming about 29 kWh every 100 miles (the lower the number, the better), making the MPGe fall at 118 MPGe combined. Just as its exterior reflects its traditional counterpart, the Fit EV’s interior does just the same. Large, clear gauges and simple, easy-to-use controls make it a comfortable space, while the EV-specific gauges deliver important information, such as the battery pack’s state of charge and remaining range. The upholstery is even made from sugar cane—but we promise, it won’t melt when it gets wet! Compared to the standard Fit, the EV actually has a bit more room in the back seat, making it comfortable for adult passengers, though it does lose a lot of cargo space because of the battery pack. One of the cooler aspects of the 2014 Fit EV—besides its lack of emissions—can actually be found on your phone. The Fit EV smartphone app, called HondaLink EV, lets you monitor your vehicle’s state of charge, control when you charge your vehicle, and determine the current estimated range. It even tells you how long it will take your car to charge and where you can find a public charging station. 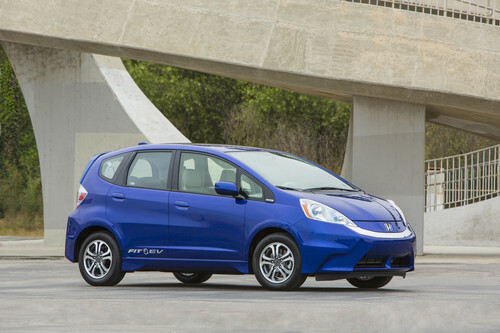 The 2014 Honda Fit EV is one of the most eco-friendly cars on the market. 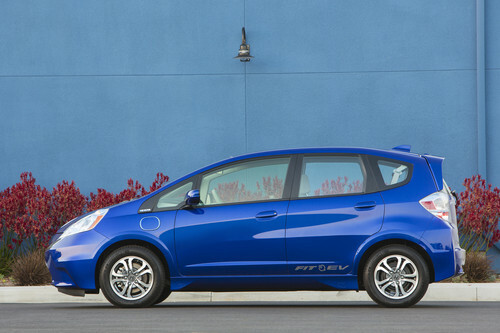 Standard safety features for the 2014 Honda Fit EV include six airbags, Vehicle Stability Assist, and Electronic Brake Distribution. The lithium-ion battery pack is even designed to be non-reactive in a crash and will automatically shut down if it senses sufficient impact. Terry Lee is the owner of Terry Lee Honda in Avon, IN. 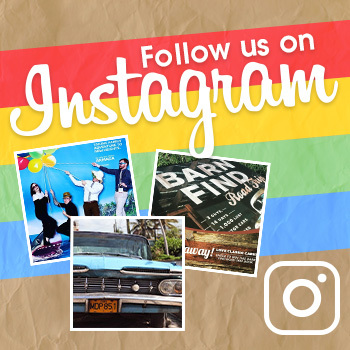 They sell new and pre-owned Honda cars, trucks, and SUVs. They proudly serve the Indianapolis area including Carmel and Fishers and provide financing, parts, and service to take care of any car needs you may have.